In between Blackest Night and the next Green Lantern event, War of the Green Lanterns, the reader might expect to find a bit of quiet, as was writer Geoff Johns's wont in his JSA series, among others. "The New Guardians" storyline collected in Green Lantern: Brightest Day is quieter in the sense that it's an Earth-bound tale and lacks the Corps-crowded panels of Blackest Night. Green Lantern: Brightest Day, however, offers no formal epilogue to Blackest Night, and rather takes its introspection on the run -- it's action-packed, perhaps overly so, and contains sweeping, mythos-altering revelations about the Green Lantern Corps just like Blackest Night did, without a resting point in sight. Though the Green Lantern title doesn't rest after Blackest Night -- misses the chance for some lower-tempo issues, even -- Green Lantern: Brightest Day certainly offers a tonal shift. The first few chapters of this ten-issue collection are full of blithe superhero violence -- Lobo guest stars, and you can't get much more blithely violent than that. 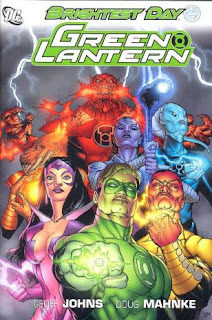 In a kind of road trip to locate the missing Lantern entities, Green Lantern Hal Jordan and Star Sapphire Carol Ferris fight Sinestro, the three of them fight Lobo, Hal fights the Orange Lantern Larfleeze and villain Hector Hammond, Carol fights the rogue Star Sapphire entity the Predator, and so on. Artist Doug Mahnke's gritty work has always emphasized the weird, so it's not difficult for the reader to turn off their brain and watch the alien tentacles fly. In that way, while Green Lantern: Brightest Day lacks the one-off, "everyone relaxes and talks about the war" issue found post-Blackest Night in Green Lantern Corps, for instance, the first part of this book is at least slightly less cerebral, and the stakes less high, than Blackest Night before it. I did like that Green Lantern: Brightest Day is more Earth-bound than this Green Lantern series' stories have been of late, though not perfectly so. The destruction and resurrection of Coast City have been such an integral part of the Green Lantern mythos of late that I'd like to see Hal Jordan actually exist there for a while, fly planes for the Air Force and stop a traditional super-villain -- you know, classic superhero stuff. While Johns does let Hal interact with some civilians (including a charming scene involving a security guard and a lawn flamingo), one underlying idea that comes out of Green Lantern: Brightest Day is that the green ring may be at best causing Hal to isolate himself and at worst driving him mad. It is a testament to Geoff Johns's writing and creativity that, even as he's kept me compelled and wanted to follow Hal Jordan over sixty-plus issues, the one complaint I've had about Hal's lack of interaction with his supporting cast may turn out to be an intentional character element on Johns's part, foreshadowing a plotline to come. 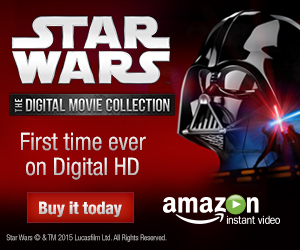 The beginning of this trade will seem familiar to Green Lantern movie-goers. Johns, who consulted on the movie, obviously knew there'd be movie-directed attention on the first post-Blackest Night Green Lantern collection, and that this would be the series' newest trade around movie time. Carol has been an ongoing presence in the Green Lantern series, but for almost the first time since Green Lantern: Rebirth she gets one-on-one screen time with Hal Jordan here, in a bar scene and in dueling fighter jets reminiscent of the Green Lantern movie (not to mention movie villain Hector Hammond's sudden increased presence). Hal and Carol's relationship is appropriately complicated, to a great extent because Hal doesn't know how to react to Carol's unconditional love that doesn't require anything back from him, giving him nothing to run away from. The reader intuits Hal's greatest objection to Carol becoming queen of the Star Sapphires is that it brings her most fully into the superheroic side of his world, when he spends most of the book trying to separate those aspects of his life and keep his friends out of danger -- in part out of guilt over his time as Parallax, and in part due to the corrupting influence of his ring. Though Hal and guest star Flash Barry Allen discuss the metaphorical aspects of their feelings far too much to be believable, one gets a fannish thrill here when Barry himself gets possessed by Parallax, and Barry's concern over Hal's behavior is what finally sheds light for the reader that something more is going on with Hal than just Hal's inherent bluster. Johns, however, suddenly interrupts the main action of "New Guardians" for a single-issue solely devoted to the Red Lantern Atrocitus -- who interrupts a capitol execution and runs afoul of the Spectre -- and the story is suspenseful and gripping; Johns's short origin of the Red Lantern Dex-Starr at the end of the book is equally moving, and in only a couple of pages. (The Spectre story, on the heels of another in Blackest Night: Green Lantern, argues strongly for Mahnke getting to draw a Spectre series or special). Johns's stories do not quite convince me of the necessity of the upcoming DC Comics Relaunch Red Lanterns series, which seems mainly meant to take advantage of the name recognition of the new villains of the Green Lantern animated series -- but I will be curious to see if writer Peter Milligan brings the same kind of depth as found here, and what he does with the characters. As recently as Blackest Night, Johns has been constantly revamping the Green Lantern mythos, often in the form of "revealing" lies that the Guardians of the Universe have told. Johns adds one more lie on top of the others here, that mainstay DC cosmic villain Krona was once an agent of the Guardians, and it seems a step too far if only because we haven't yet quite sorted out what's true or not about the Guardians' origins as presented in Blackest Night (also, I like Krona's larger look, seen as recently as Kurt Busiek's Trinity, over the shrunken form in which Johns and Mahnke present him). But I was quite caught off guard by an image in the great War of the Green Lanterns preview that DC includes at the end of this book of Krona and the Guardians in white cloaks with the Brightest Day White Lantern symbol on them. This book shares a scene with the first volume of Brightest Day, and Hal takes his mission to find the entities from the White Lantern, but I had not expected that the Guardians were in some way White Lanterns in their days before the Corps. It's there and in the final pages of the main story that this book really distinguishes itself. It seemed to me Johns had made Hal too egotistical and focused too much on Hal's Corps life to the detriment of Green Lantern: Brightest Day, until all at once the story turns and the reader understands all of this is to demonstrate the psychological influence of Hal's ring. Larfleeze, the Star Sapphires, the Red Lanterns, and the Indigo Tribe are all have their minds controlled to a great extent by their rings, but we had believed the Green Lanterns at the center of the emotional spectrum were immune; now we understand the green rings have a corrupting influence also. This ignites this engaging but somewhat nondescript story; Green Lantern: Brightest Day was good, but it seems War of the Green Lanterns is going to be "can't miss." This is the fourth time recently that I've encountered one of these previews for a forthcoming trade at the end of one of DC's books -- Birds of Prey: Endrun, Justice League: Rise and Fall, and Superman: Last Stand of New Krypton Vol. 2. These are great, and I applaud DC for including them -- it's a recognition that trade-readers aren't "done in one," but rather that we follow the DC Universe in serial form, too, just not necessarily in periodicals, and that we want to be marketed to and teased about upcoming storylines just like "regular" fans. If you see more of these, let me know -- I'd love to think these are becoming standard in DC's books. Next week, our review of Green Lantern Corps: Revolt of the Alpha Lanterns and Justice League: Generation Lost! As much as I've enjoyed the current GL run, I always find it interesting when Cowgirl is mentioned (usually by Carol) as being Hal's current girlfriend, despite the fact that she hasn't been seen in about 2 years worth of comics (up to this trade, anyway)! Geoff Johns set up a new status quo in the first couple of books, and has totally ignored it ever since. Again, that's not to say I haven't greatly enjoyed the stories that have been told, just that I find it odd that (as you mentioned) there have been no "wind-down" issues where Hal actually, you know, goes and sees his girlfriend (or brother and family in Coast City). Also, I found the placement of the Atrocitus issue really odd; they reveal Krona in the 3rd-last issue, then go a full issue with Atrocitus, then go back to the conclusion. I think the Atrocitus issue should have been earlier, even if just swapped with the Krona-reveal issue. It really breaks that flow and nothing in that issue indicates that it couldn't have happened much sooner in the story. In contrast, I liked the placement of that Atrocitus issue. It did randomly break from the story, but GL: Brightest Day was such a far-flung and expansive story that I didn't mind my attention being drawn hither and yon. I don't dispute the issue could possible have been moved to an earlier place, though I wonder if it has something to do with Sinestro's placement at the time vis a vis Green Lantern Corps. This remains hands down my favorite Green Lantern collection of late, over both War of the Green Lanterns and the DC New 52 Sinestro book.